How do I add or remove another teacher to my class? There are many reasons that you may want to add an additional staff member to your class; you may have a substitute teacher taking your class, a student teacher may be interested in the system, or you may have a colleague that you share your class workload with. Select the red Manage Accounts tab in the Control Panel. 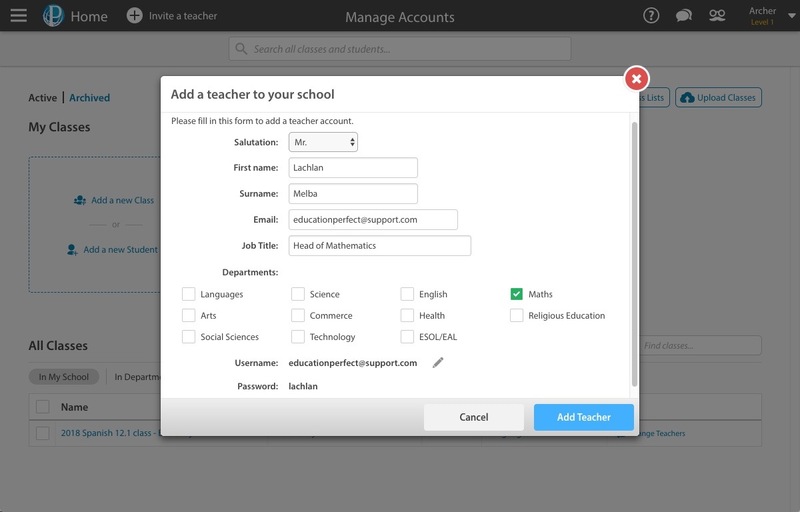 Select Add teacher under the Staff section. Fill out the details of the teacher you are wanting to add. You can choose from various salutations and add a first name, surname, email address and job title. Selecting departments for the relevant teacher(s) will ensure that they are recommended content from those departments. 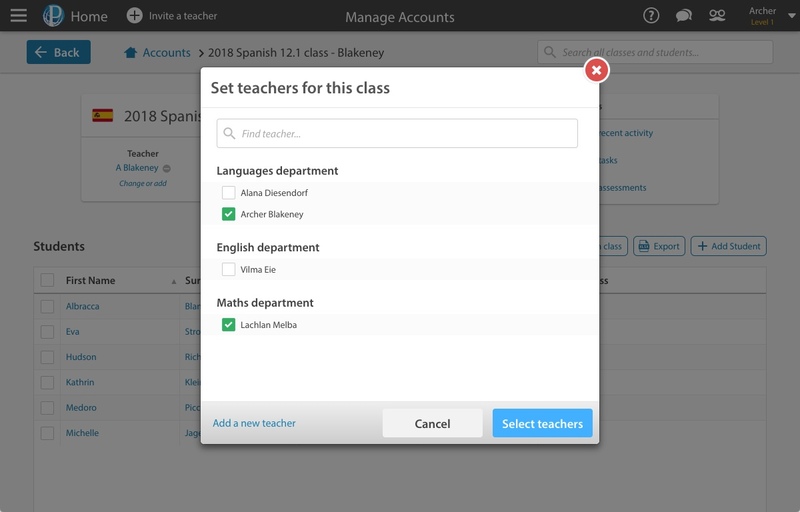 Select the class which you're adding the teacher to and select the Change or add button near the top of the page. In the dialogue box that appears, check all of the teachers whom you'd like to be in the class. Click Select teacher and the new teacher will be added to the class. They will then be able to access the classes in the same way as you. First, click on the class that you want to great remove teachers from. 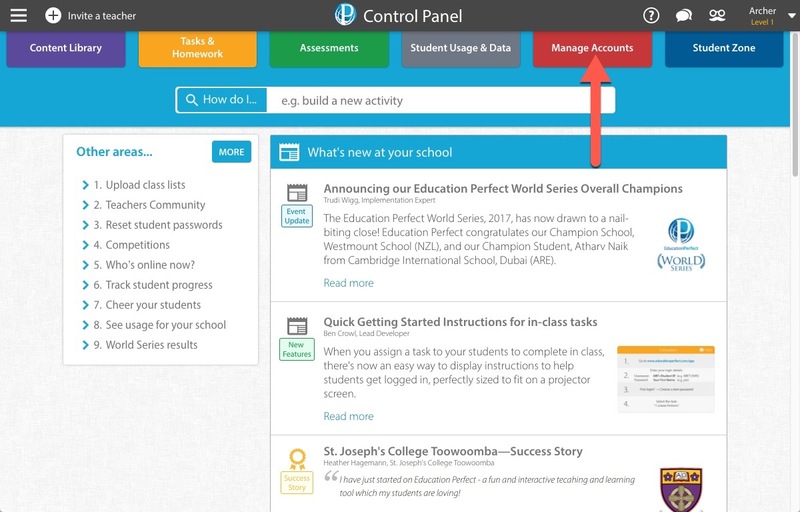 Your classes will appear at the top of the page. If you want to remove a teacher from a class that you don't teach, scroll down to see the list of all classes. To remove a teacher, click on the minus icon.